No festival worth its salt is without a silent film screening these days – which is a great way to introduce people to this world. Rock festivals increasingly offer cinema tents and film festivals are often involved in commissioning new scores for films, or simply offering musicians an opportunity to perform their soundtracks in front of a large audience. It’s well worth keeping an eye on what’s going at festivals, even if you’re not planning to attend: what debuts at a festival one year, may turn up in your city the next. Here’s a selection of interesting festival events coming up in the next month or so alone. 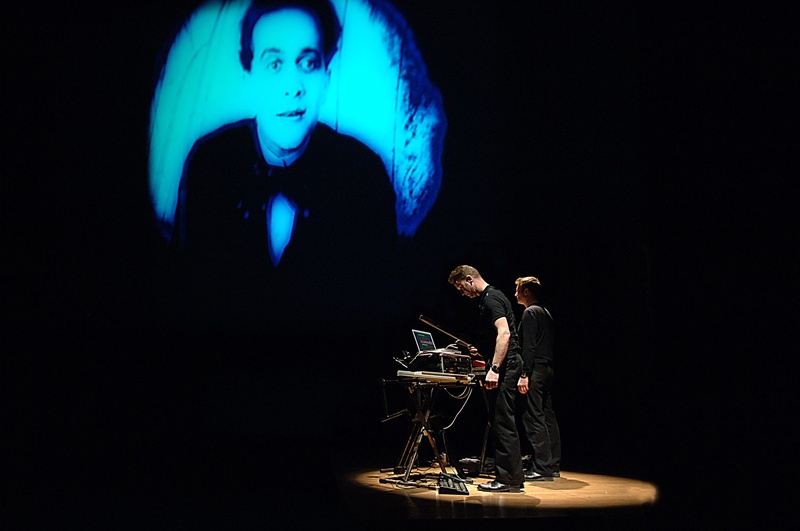 At the Green Man Festival in the Brecon Beacons (19-21 August), the rock band Minima are performing an improvised set to a selection of early science films in the Einstein Tent. Over in the Cinema Tent, Blue Roses will perform her piano score to Dr Jekyll and Mr Hyde (1920). You may remember that this score first appeared as part of the Birds Eye View Festival’s Sound & Silents strand back in March. 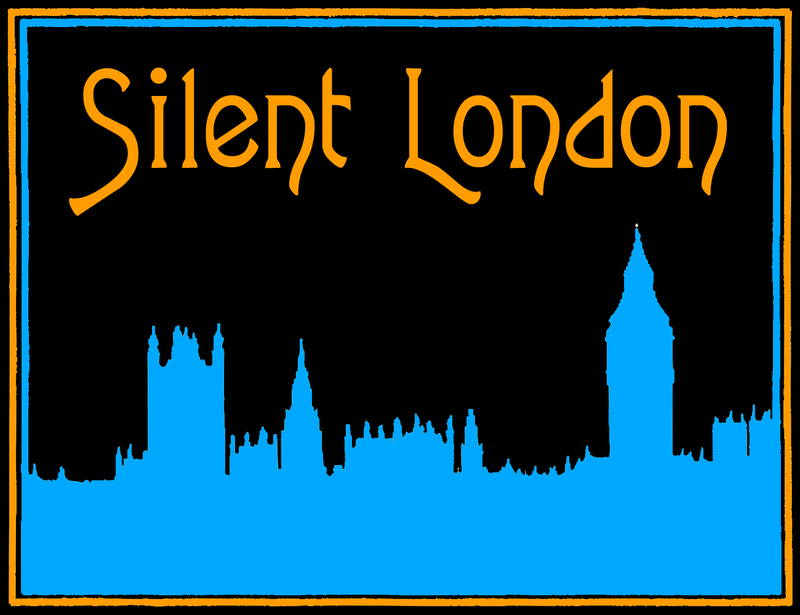 Watch out for news of a forthcoming UK Sound & Silents tour on their website. The following week, at the Edinburgh Fringe, Minima will perform their score to The Cabinet of Dr Caligari six nights in a row – kicking off at midnight. Also in Edinburgh and courtesy of the Birds Eye View Film Festival Sounds & Silents strand, there will be a screening of Lotte Reiniger’s Hansel & Gretel with a live score by Micachu – that’s at the Edinburgh Art Festival. The Cambridge Film Festival runs from 15-25 September and although it hasn’t announced its full lineup yet, I am pretty certain we’ll see some silent movies in the lineup. And before the festival even begins they are hosting a special screening of Douglas Fairbanks’s Robin Hood in Rendlesham Forest with a new score by Neil Brand – that’s on 29 August, bank holiday Monday. 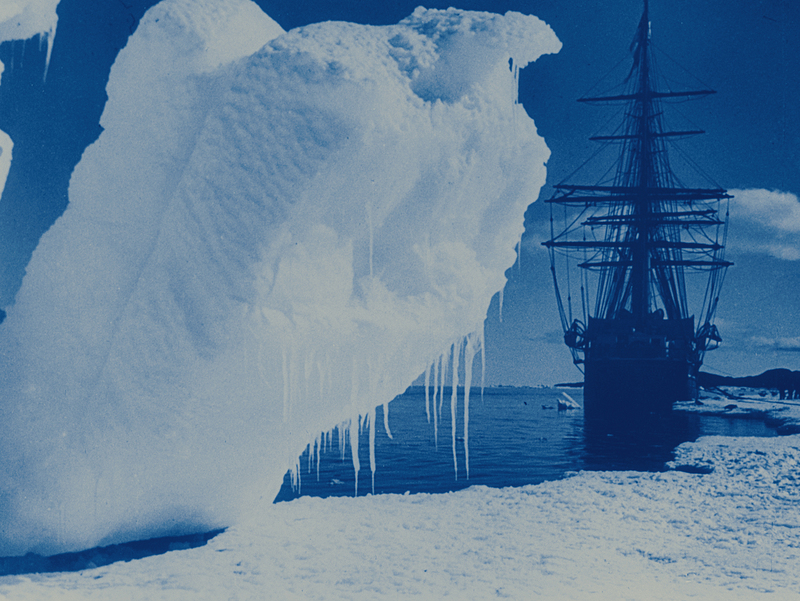 Also on the bank holiday Monday, Bath Film Festival is hosting a screening of Buster Keaton’s Steamboat Bill Jr and the short film One Week, with live music from James Harpham. At the beginning of September, the Little White Lies cinedrome at the End of the Road festival in Dorset will be showing all kinds of good things, including The Great White Silence. Back in London, on 17 September, gothic electronic duo In the Nursery will soundtrack The Cabinet of Dr Caligari in a pop-up cinema as part of the Portobello Film Festival. And as reported elsewhere, the Peckham Free Film Festival is screening Safety Last and Battleship Potemkin, on 16 and 18 September respectively. And entrance to all of those screenings can be had for the very reasonable price of zero pence exactly. The New Forest Film Festival has a very exciting event planned for 18 September. The Dodge Brothers (featuring Mark Kermode) and Neil Brand are teaming up to score another movie. The Ghost That Never Returns is a Soviet film directed by Abram Room (Bed and Sofa) about a fugitive from jail being chased by an assassin in South America. What makes the screening even more exciting is that the cinema will be powered by bicycle – it’s a movie, a gig and a workout, all in one. The Dodge Brothers’ performances have been a highlight of recent British Silent Film Festivals, so let’s hope we see this one in London soon. The Branchage Film Festival in Jersey commissions and hosts all sorts of fascination film/music combinations, and holds events in London throughout the year too. Its festival closer this year is a very beautiful thing. On Sunday 25 September, Simon Fisher Turner and the Elysian Quartet will play their intensely emotional score for The Great White Silence live at Jersey Opera House. Not to be missed. In October, of course, it will be time for the 55th London Film Festival. Watch this space to find out silent film events await us there. • Update 19 September 2011: Cambridge Film Festival is screening Robin Hood again, tonight, with live music by Neil Brand in the grand surroundings of Trinity College. Sounds wonderful. Click here for details. It’s going to be a good summer for outdoor screenings of silent films, both across London and at festivals around the country. And I expect this one will be one of the most atmospheric. 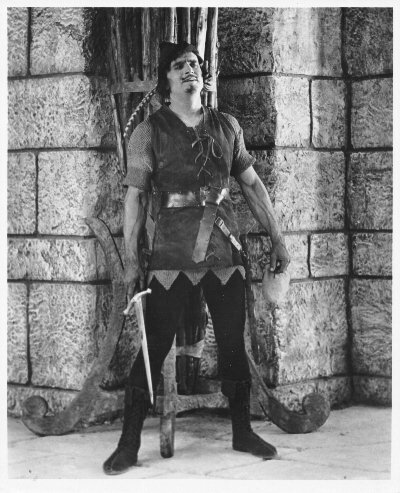 Cambridge Film Festival On Location is presenting a special screening of Robin Hood (1922), the swashbuckling classic starring Douglas Fairbanks, along with the world premiere of a new score by Neil Brand. This is an epic, but charming Robin Hood, shot on some of Hollywood’s largest and most lavish sets, with fantastic action sequences and a mischievous streak of humour. Fairbanks leaps tall turrets in a single bound as a spectacularly gymnastic Robin Hood, while Wallace Beery gives us an imposing King Richard. Allan Dwan directs with flair, making the most of the gigantic sets – getting a lot of mileage out of the drawbridge, in particular. More than anything else, Robin Hood is a show. It seems to be stretching the word photoplay to classify it under that name. In fact, it’s the last thing in spectacles. We doubt if the silversheet will go much further along this expensive road. If only Ridley Scott had taken the hint. I love the word “silversheet”, too. Perhaps we should try to bring that one back. Robin Hood screens at the theatre in Rendlesham Forest in Suffolk on Monday 29 August. Neil Brand’s merry band will include violinist Günter Buchwald and percussionist Jeff Davenport. For more details, click here.